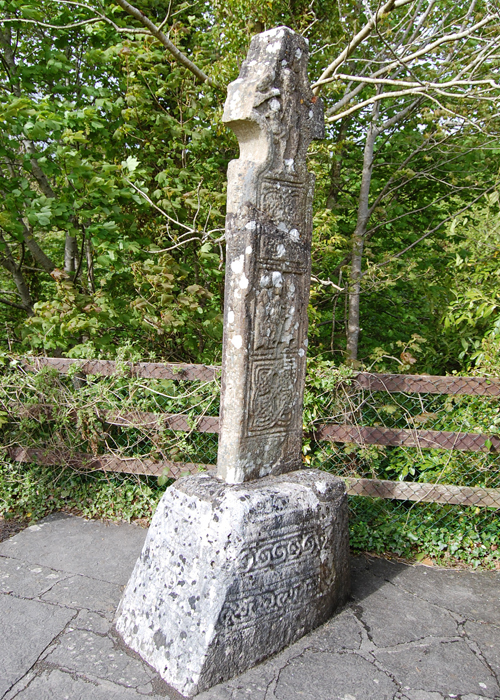 This cross dates from the 9th century and was originally located where the Church of Ireland is located. Local legend had it that it was commissioned by St. Colman, to commemorate the conversion of his father, King Aengus of Cashel to Christianity by St. Patrick. It is not certain why it was erected in Kinnitty. Perhaps it was to honour the king, Maolseachlain; maybe, here, on the border of the kingdoms of Munster and Meath, it was a symbol of his power.